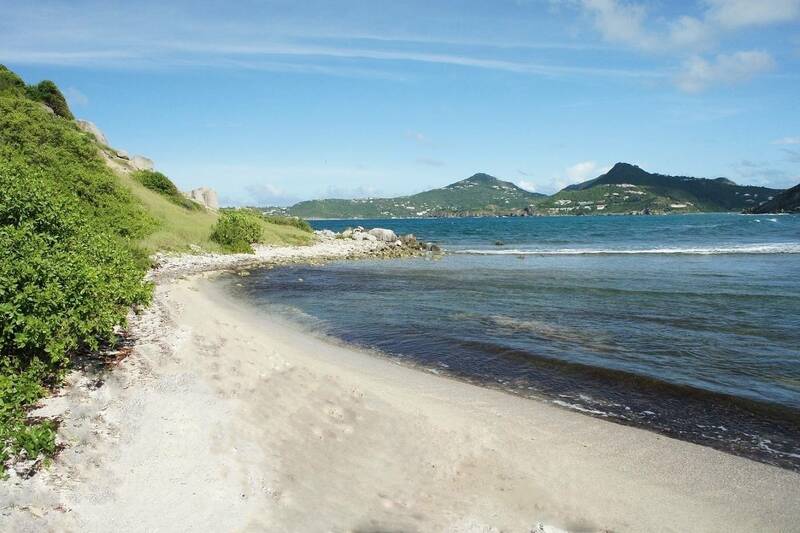 Dream About: Strolling down a short path from your villa to a lovely little coral beach. 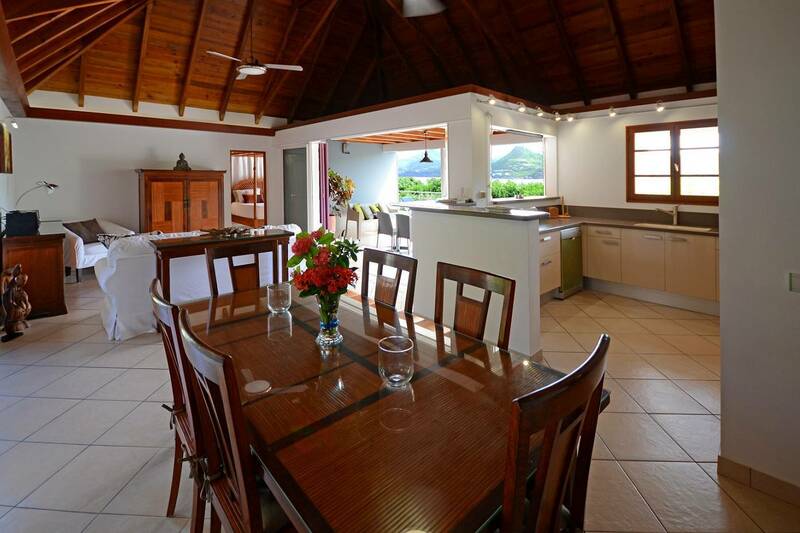 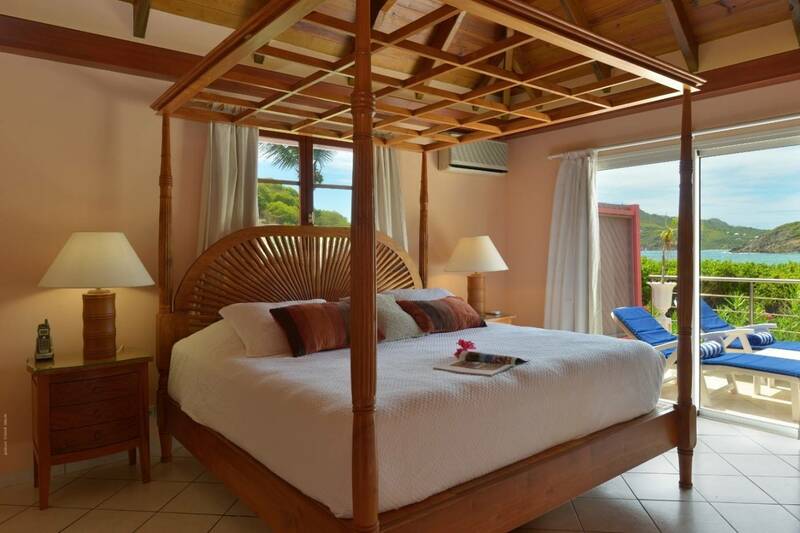 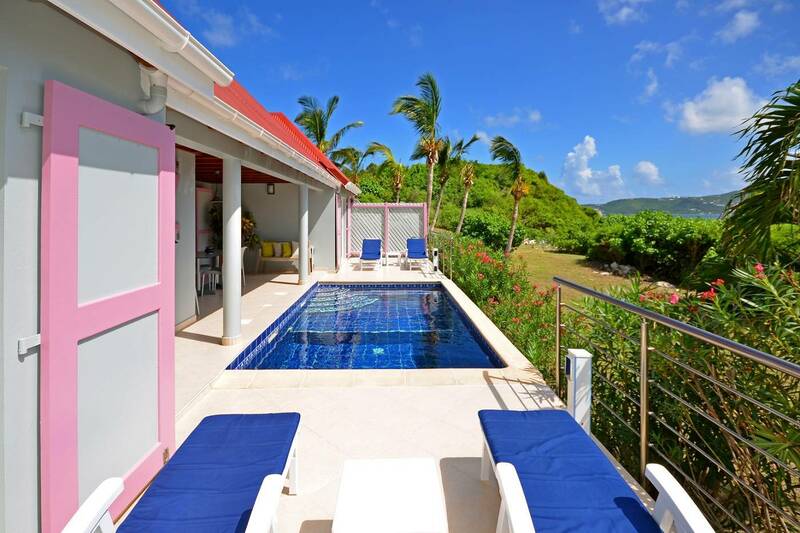 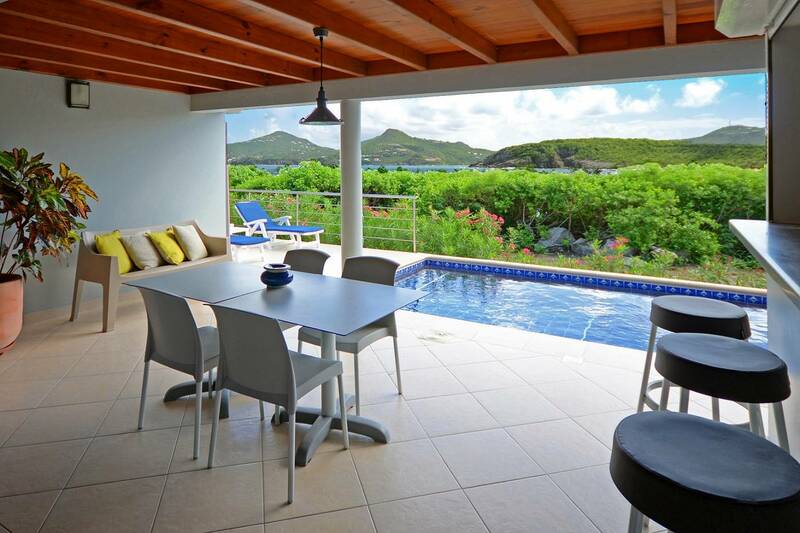 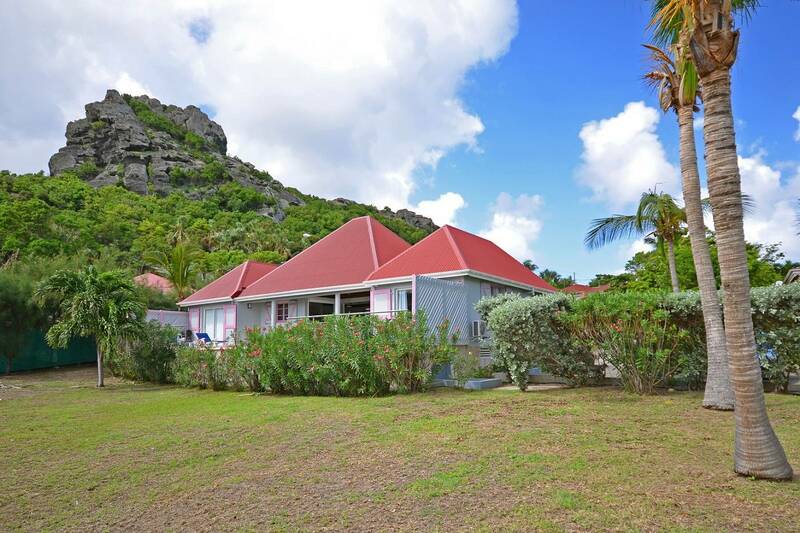 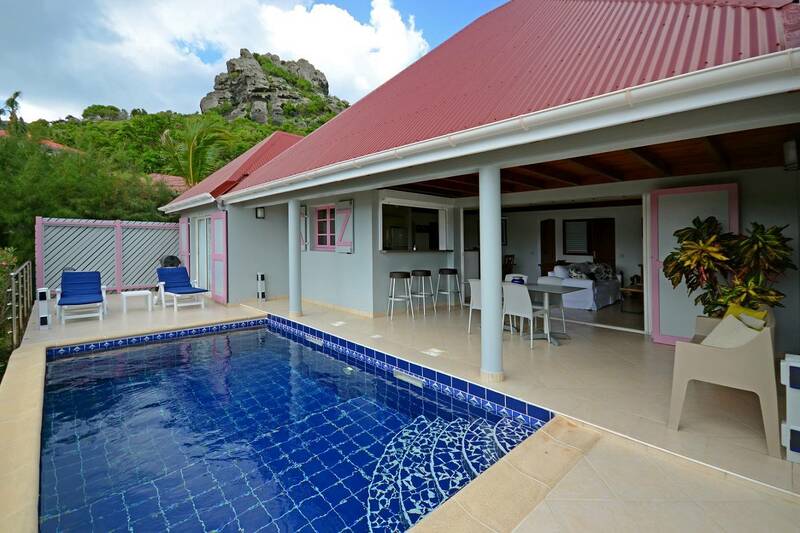 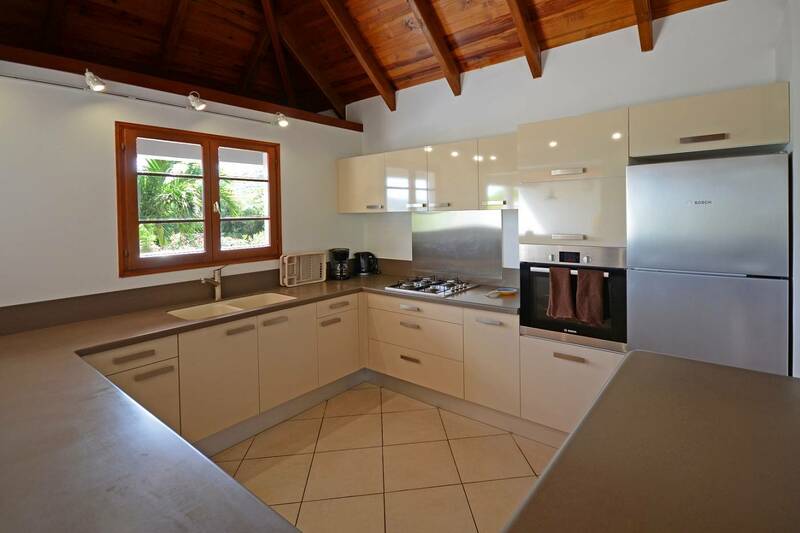 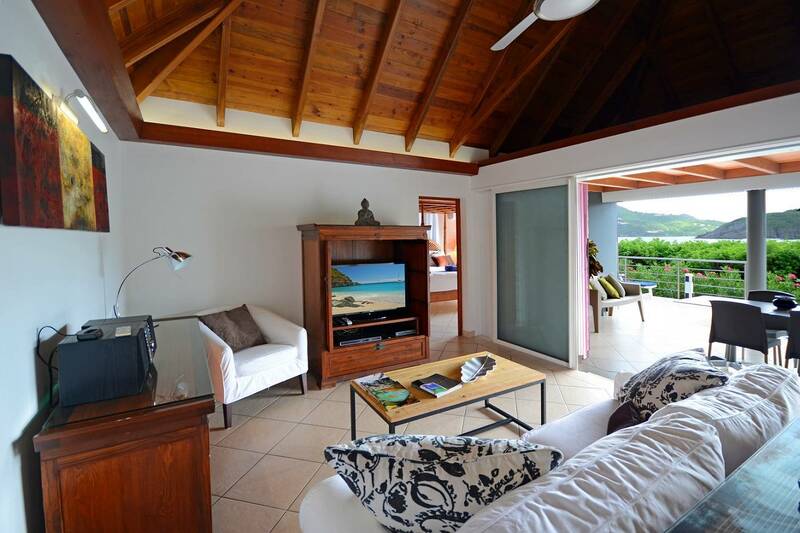 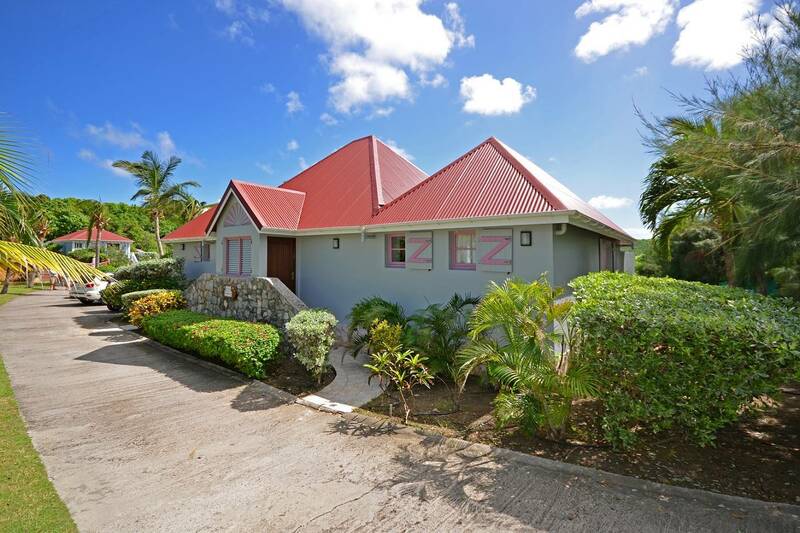 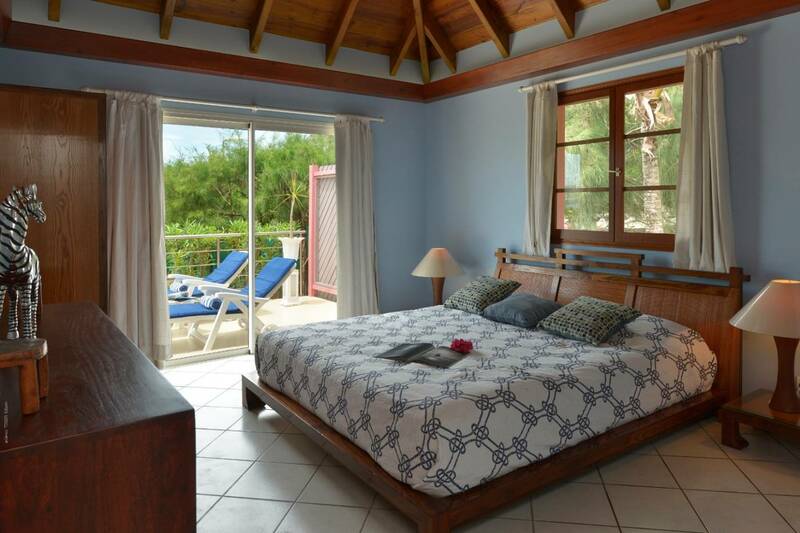 Guests staying at this newly refurbished two bedroom two bathroom beachfront villa enjoy the splendid view that spans across the cove. 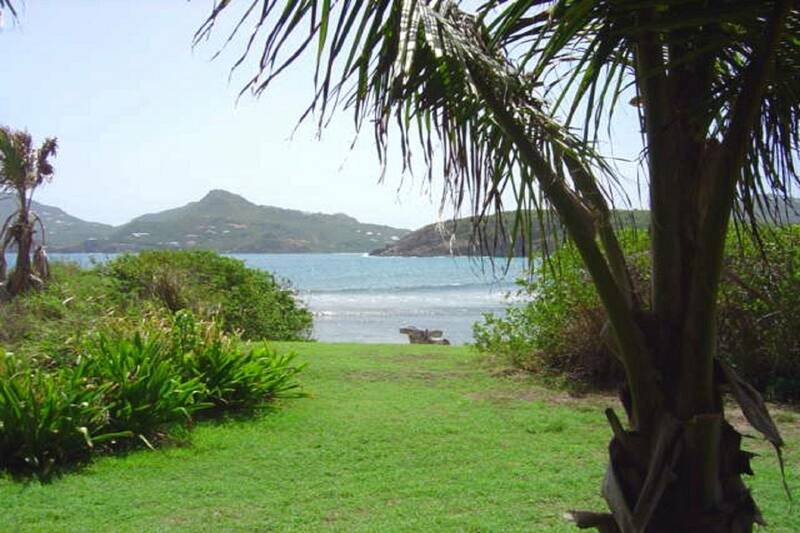 They can take a short path to the little beach that lies directly in front of the villa to take a swim or to sun bathe. 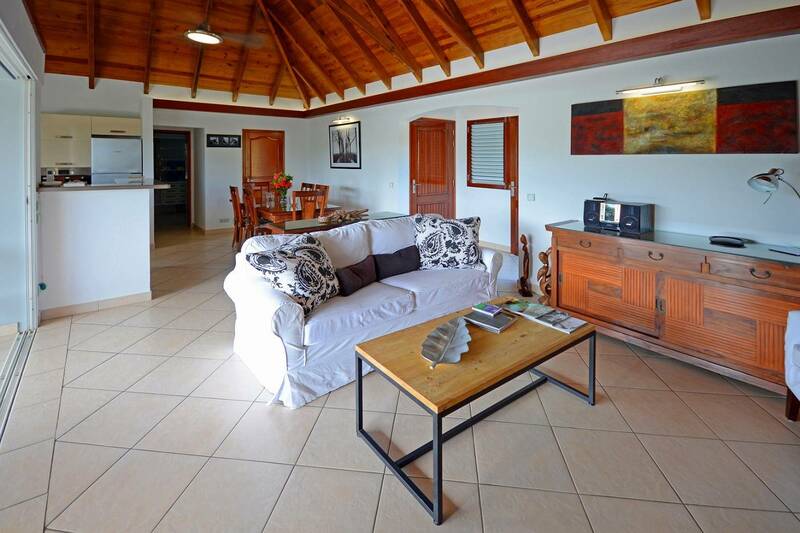 The equal king bedrooms are located on either side of the tastefully furnished living room, dining area and full kitchen making this a nice choice for couples or a family. 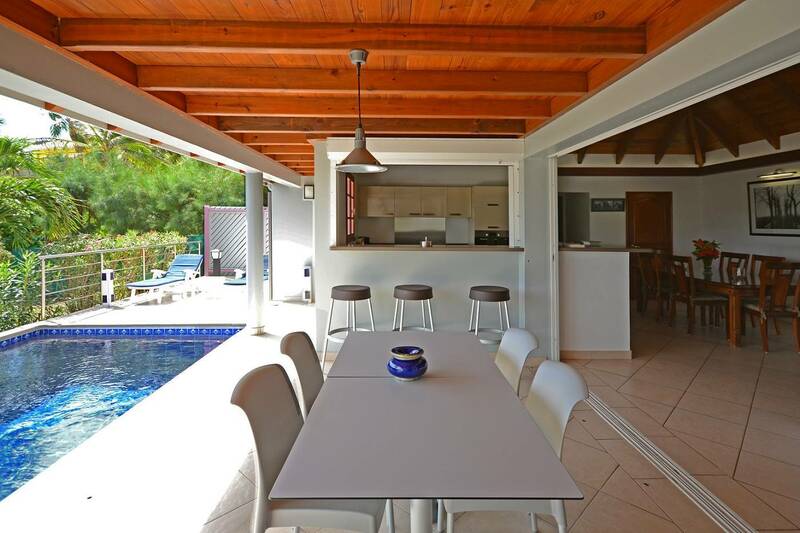 A covered outdoor dining terrace overlooks the pretty pool. 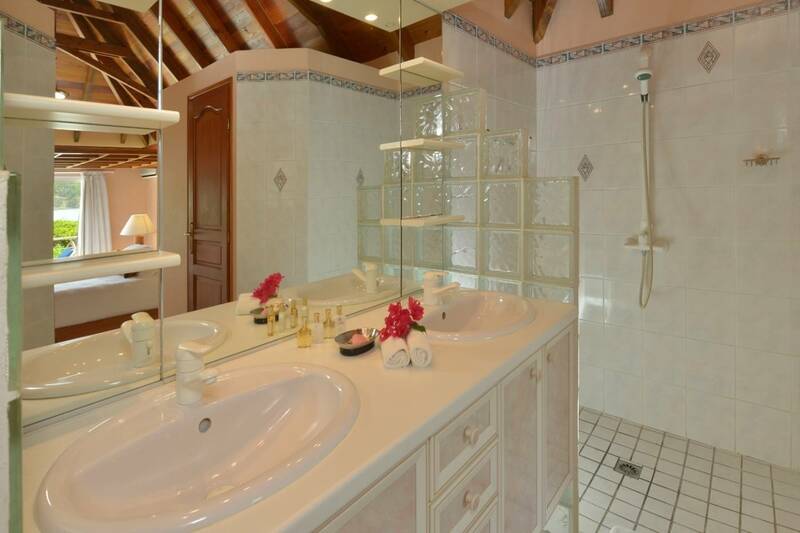 The attention to the smallest detail is reflected in the overall ambience. 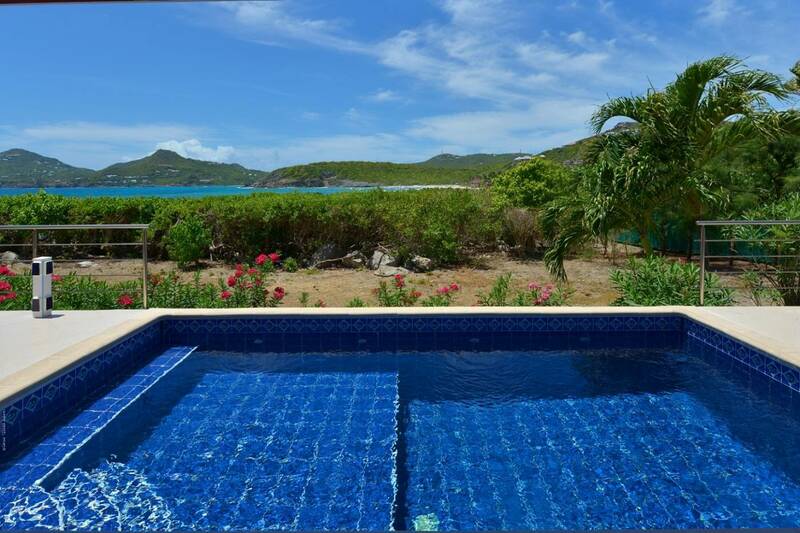 Splendid ocean views and the beach are literally steps from your door..a true gem. 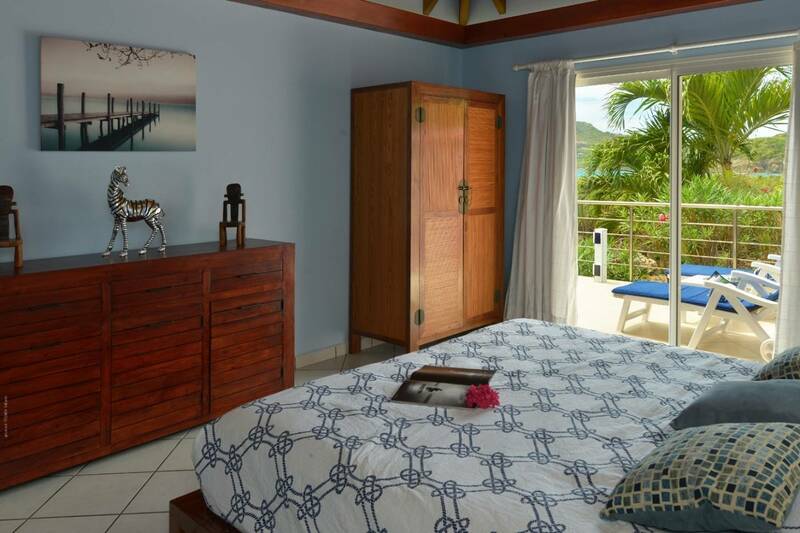 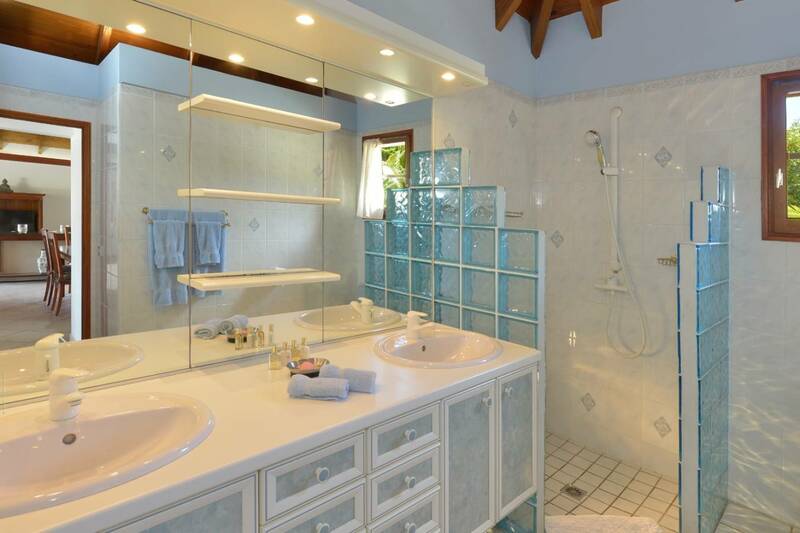 If three bedrooms are needed, villa Rosebud may be rented along with villa Coral Reef which is located next door. 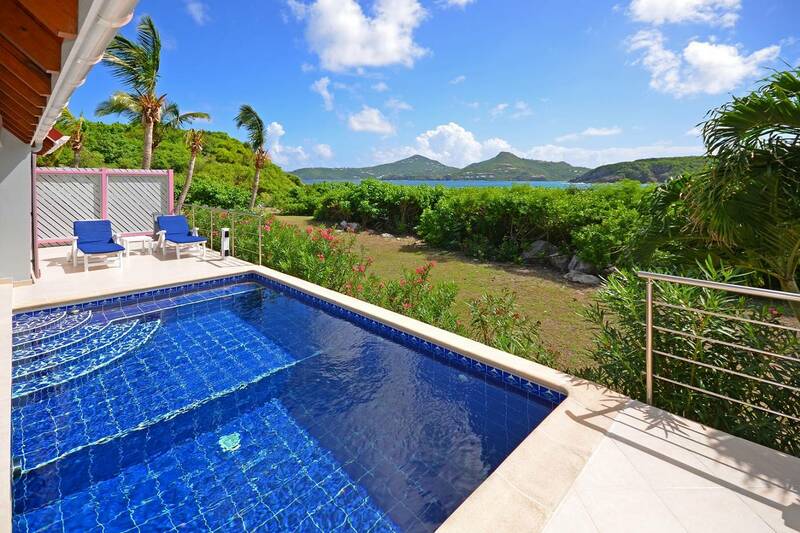 That the pool sparkles in the sun. 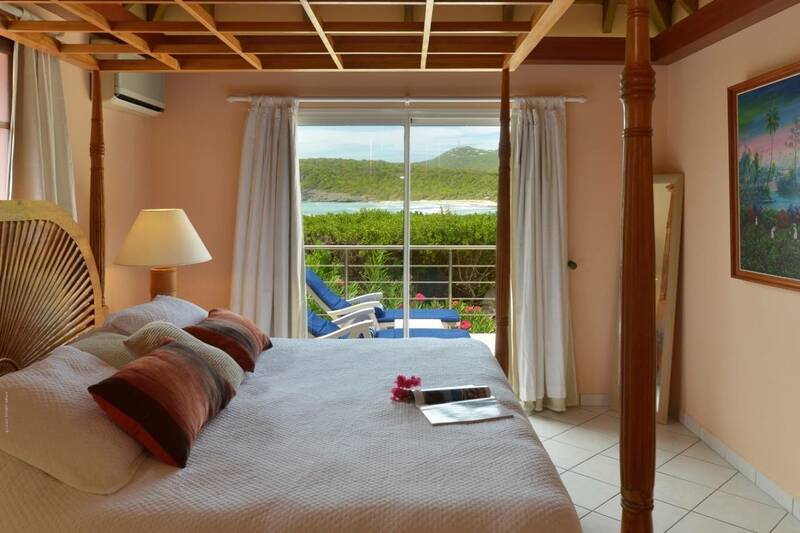 The view from the pool terrace spans the cove; both bedrooms have access via sliders to the terrace.